The U.S. Arab Chamber of Commerce is located in Washington D.C. and is the only American organization to be officially recognized by the Arab League. The organization strives to serve the business community through multiple avenues, including the provision of certificates of origin and related export documents. The Emarati German Business Council is a partnership between United Arab Emirate business leaders and German workers/ businesses located within the United Arab Emirates, and works to promote foreign business development. The World-Economic Forum in Switzerland is an international organization established to achieve global improvement through cooperation and partnerships among public and private entities. The Global Agenda Council meets annually to analyze, discuss and resolve global issues in economics, leadership and more. The Arab Business Council is a World Economic Forum Initiative comprised of business leaders from sixteen Arab nations that focuses on regional economic reform. The Joint Arab Russian Business Council facilitates trade contacts and business developments between Russian and Arab countries through the creation of bilateral business councils, establishing direct contacts, organizing business forums and more. The Abu Dhabi Singapore Business Council is a non-profit organization open to all Singapore residents and companies in the United Arab Emirates. The Russian Arab Chamber of Commerce promotes the development of commerce, trade and investment between Russia and Arab companies. The French-Arab Chamber of Commerce-Paris promotes economic relationships across various industries, including finance, tourism and agriculture, between France and Arab nations. 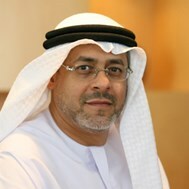 Learn more about Hussain al Nowais and his professional involvements here.